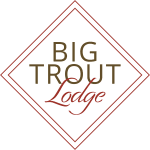 At Big Trout Lodge, you’ll feel right at home with amenities to streamline your working day and maximize your downtime. Squeeze in a workout on a treadmill or with the free weights at our 24-hour fitness center. Refresh yourself in the pool, and relax in the warmth of the sundeck. An outdoor BBQ area and fire pit are all you need for a memorable evening with friends and neighbors. 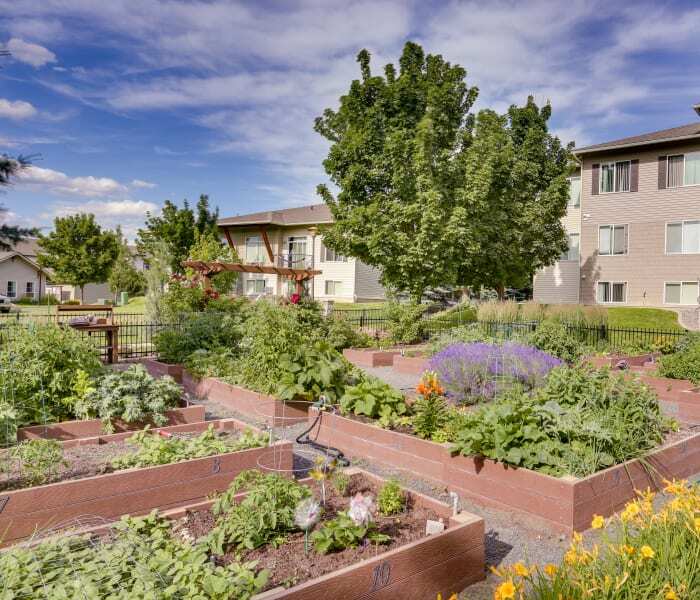 Pluck a few veggies to grill from the community garden, or walk on over to the farmers market to get what you need. Onsite management are on hand to take care of the details, including package acceptance, maintenance, and heading up monthly kids clubs and resident events. Roomy 1, 2 & 3 bedroom apartments for rent feature bright, open floor plans ready for your personal touch. Classic lines and thoughtful details such as a built-in computer desk create a clean, sophisticated environment. All the essentials are in place, from floor plans ready for cable, to the ultimate convenience of your own in-home washer and dryer. The living is fresh and easy at Big Trout Lodge. 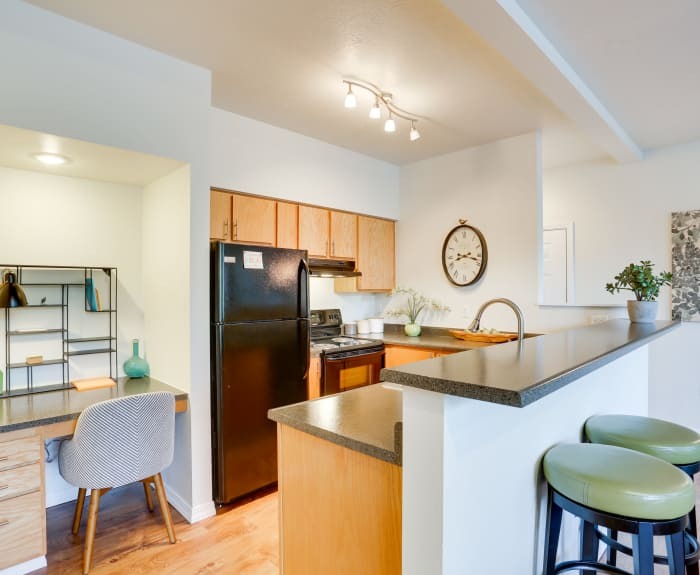 Peruse our large, open floor plans to find your next affordable apartment home in Liberty Lake, WA, at Big Trout Lodge.